Winning seldom comes easily. In fact success can be a mystery. Why do some people amaze even themselves with what they accomplish—while others never reach their potential? The answers come from more than buzzwords and feel-good phrases. 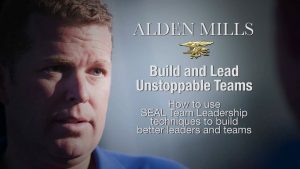 Thanks to over 25 years in business and the military, Alden is uniquely able to teach others how to persist for greater success. 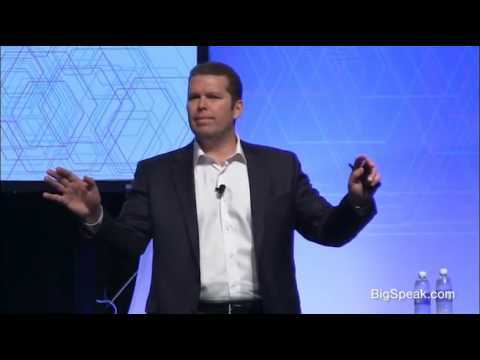 In this motivational keynote, he shares the 3 essential ingredients for transformational wins in work and in life. At a time when audiences hunger for authenticity and actionable help, you need the real deal—Alden Mills. In today’s hard-charging world, your success is determined by your ability to lead others. 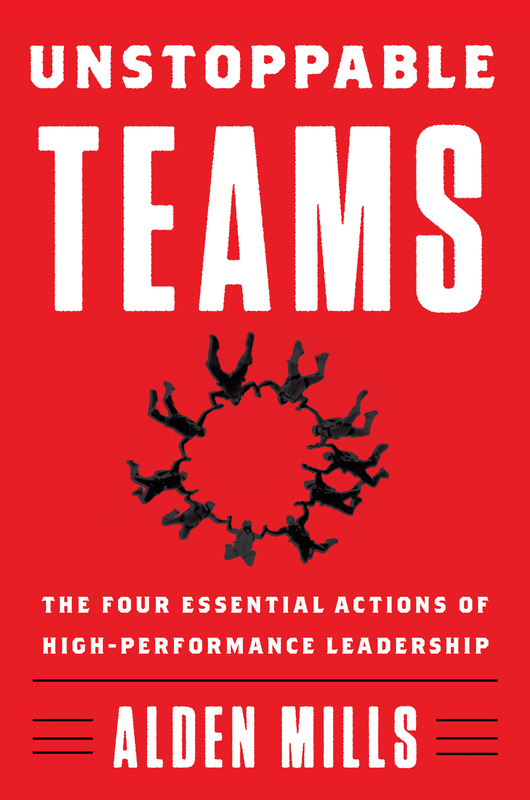 Are you doing enough to engage your people to create an unstoppable team? 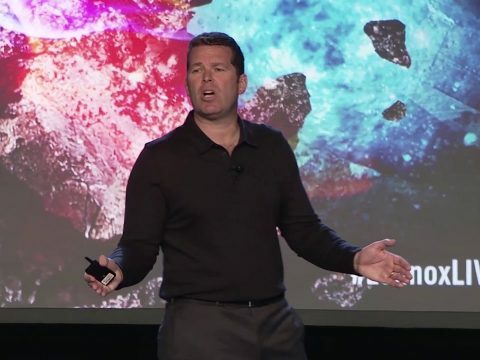 Alden—CEO of the fastest-growing consumer products company in America, and a #1-ranked Navy SEAL platoon commander—has distilled team building into a new framework called C.A.R.E. which bridges the gap between the outcomes you need and the team that can achieve them. Alden draws from his treasure chest of real-life experiences to create a lasting and profoundly empowering experience for your audience—so they can lead others to their greater levels of success. Odds are that you or someone you work with uses Alden Mills’ inventions. 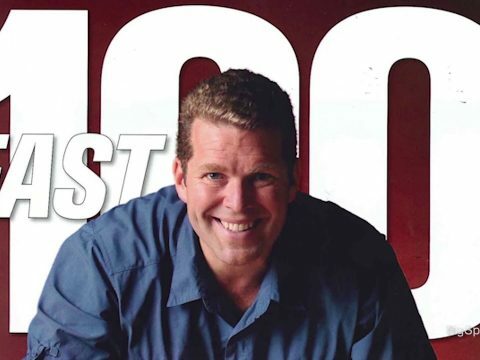 He is a former Navy SEAL platoon commander who has earned more than 40 patents, which have sold over 10 million products (and counting) worldwide. 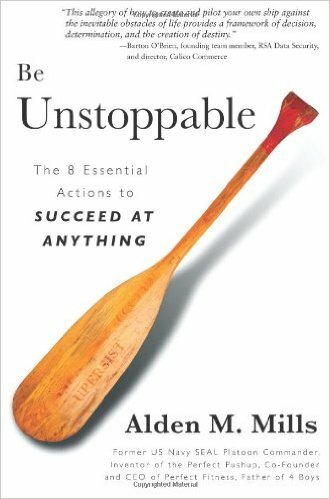 He’s created five #1 ranked infomercials, and is the author of BE UNSTOPPABLE: The 8 Essential Actions to Succeed at Anything. 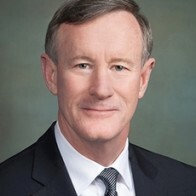 The company he co-founded and led, Perfect Fitness (e.g. Perfect Pushup, Perfect Ab-Carver, etc. ), gained national acclaim through Inc. Magazine as the fastest growing consumer products business in the United States from 2007 to 2009, with an astounding 12,000%+ grow-rate going from $500k to over $63M in just three years. His mantra is “your only limits are your imagination and determination.” Mills learned his mantra early in life as an uncoordinated, asthmatic who persevered to be a one-time Olympic rowing hopeful before going on to be a three-time #1 ranked Navy SEAL platoon commander. He applied his lessons learned in leading SEAL platoons to building and leading a hyper-growth company. 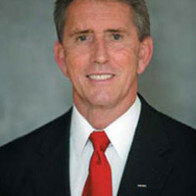 He has over 25 years of military and business leadership expertise building, leading and innovating with teams. 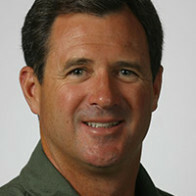 Mills has a unique background as a seasoned Navy SEAL platoon commander and a high-performance CEO. He has experienced the world’s toughest military training, led extreme teams, invented wildly successful products and yet, he’s failed many more times than he has succeeded. His messages are inspiring and memorable because they are based on years of perseverance overcoming all kinds of obstacles. He has been called the modern-day “Zig Zigler” because his first-hand experiences, magnetic presence, riveting story-telling and innovative teaching methodologies. 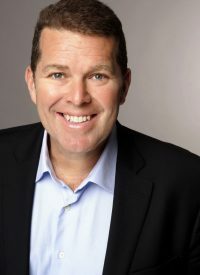 He has developed simple and effective frameworks that help organizations build high functioning team players and leaders that can innovate AND implement. His sought-after Unstoppable speaking series is transformative and scalable to those organizations seeking continuous improvement. He works with clients to tailor presentations for lasting results. For Mills, it is all about enabling his audiences to achieve more than what they originally thought was possible. He gives a limited number of speeches a year, please inquire to discuss further. them with his ear, his experience, his wisdom, and his humility –all while making people smile along the way. I recommend Alden as an extension of any executive team looking to raise the bar at their next conference. Executive Chairman, Moors & Cabot, Inc.
life-changing experience for those in attendance. organization and it showed with a rousing standing ovation . We’d hire him again! up throughout his presentation. He incorporated Cox vision, strategy and objectives throughout his message which made the presentation extremely meaningful. Alden uses his real-life experiences from military and business and he applies energy, humor, humility, and storytelling to bring his experiences to life. Authentic, Inspiring, compelling. Alden is the perfect exclamation point to wrap up a leadership conference ! Inspiring. Alden’s a brilliant storyteller that engages people drawing from personal experiences which anyone can relate to. The team ended up determined to achieve new goals. 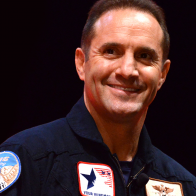 Authentic and engaging – one of the best speakers we’ve ever had at USAA. Alden ROCKS! Finally a speaker who has ‘walked his talk’. We WILL hire him again. 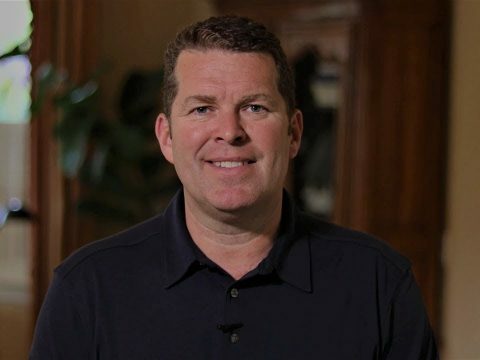 Alden delivered exactly what we wanted: a powerful message blended with fascinated stories and our company’s mission to our customers and partners. He nailed it! Alden did a tremendous job of relating his Navy SEAL experiences to relay the message of attitude impacting action. Alden set the tone—then stole the show. As the feedback shows, he deserves nothing but praise for his spot-on address to our 750+ CEO’s and their executive teams. Alden skillfully transformed their thinking thanks in part to his notable business and military experience. Quite simply, Alden’s an exceptional speaker, start to finish. We look forward to hosting him again.